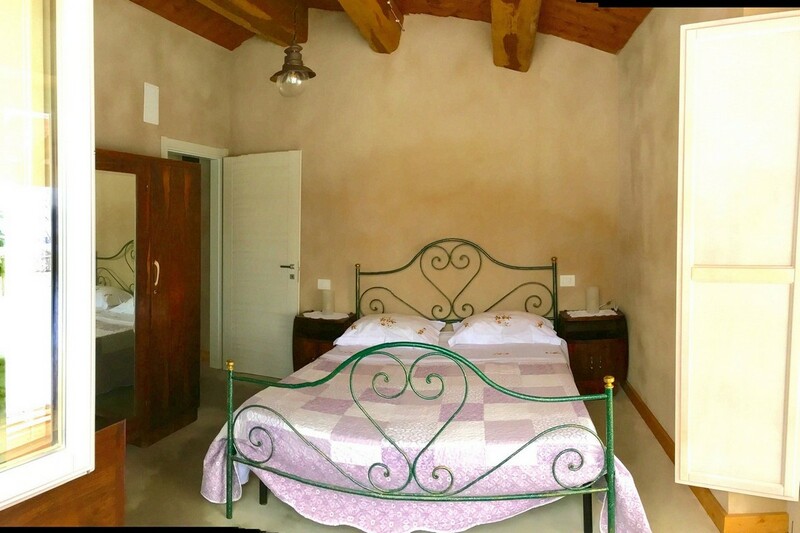 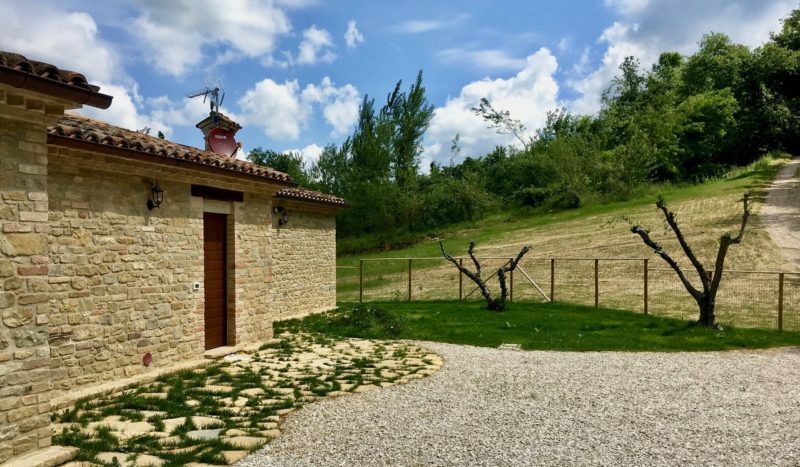 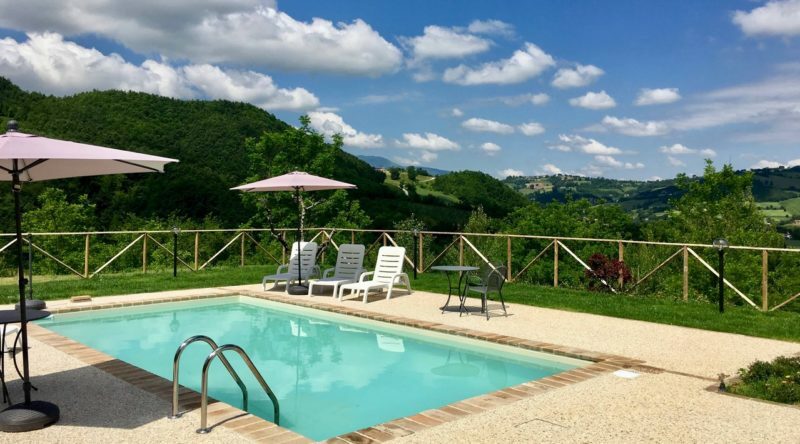 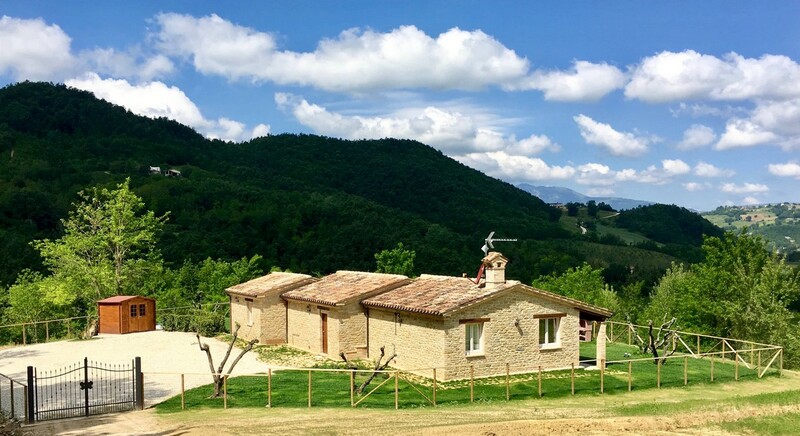 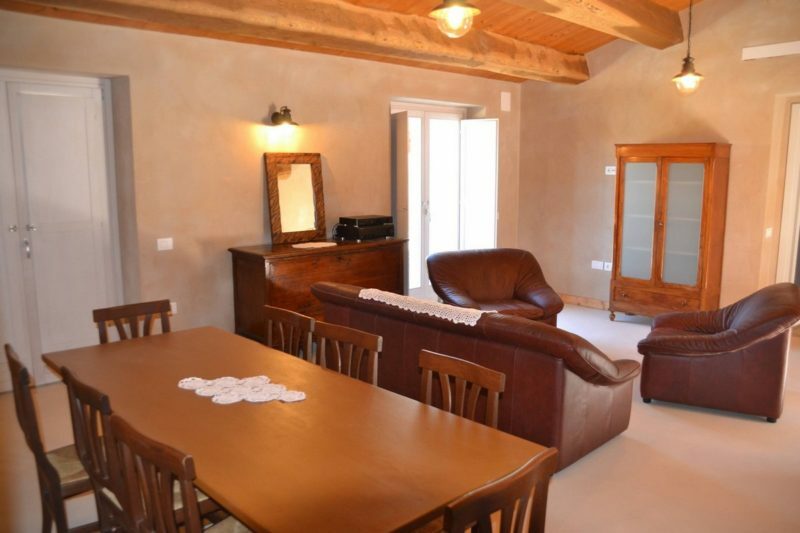 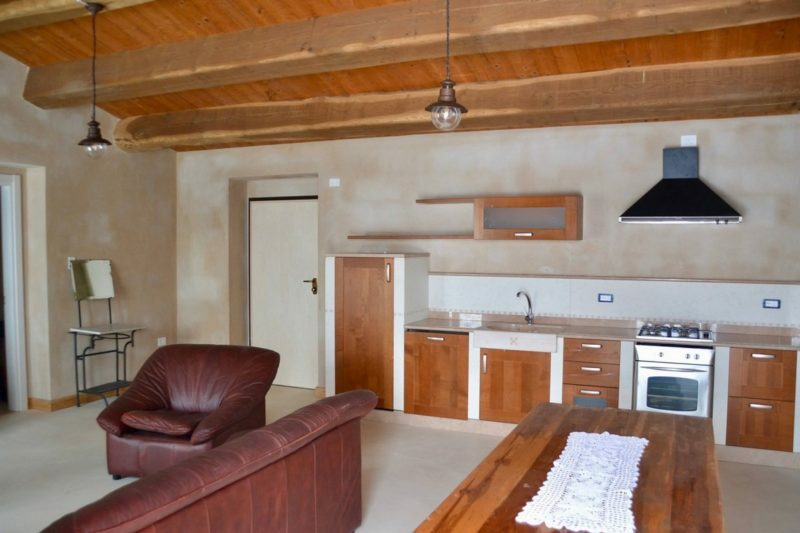 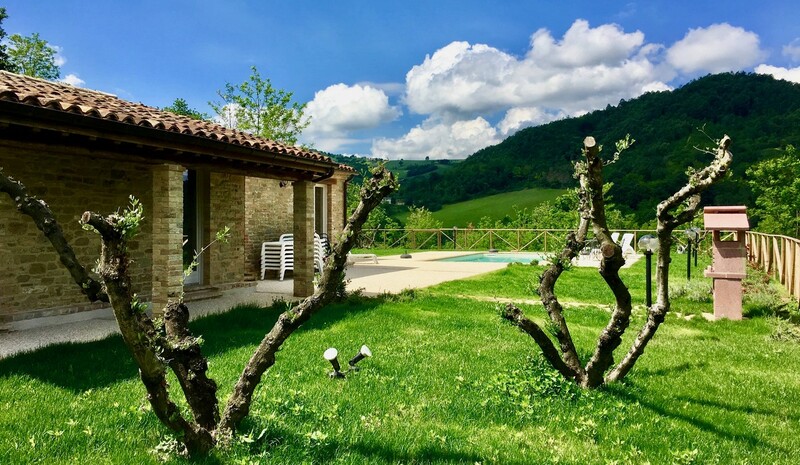 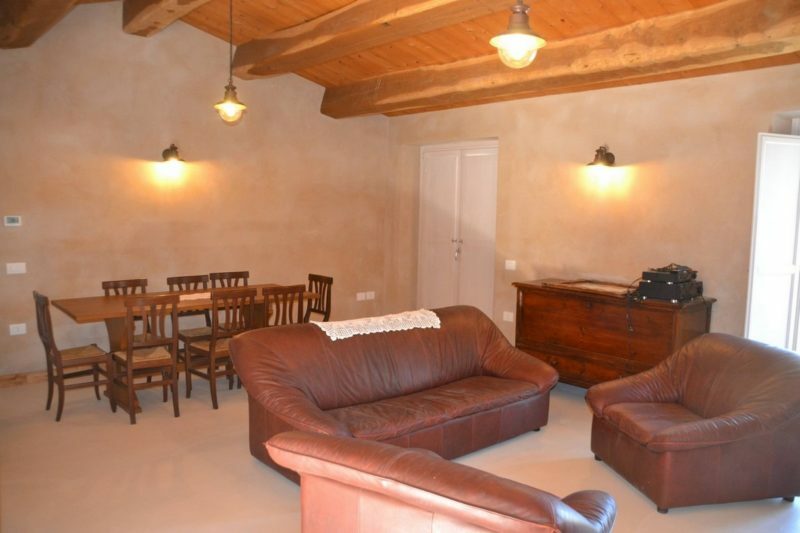 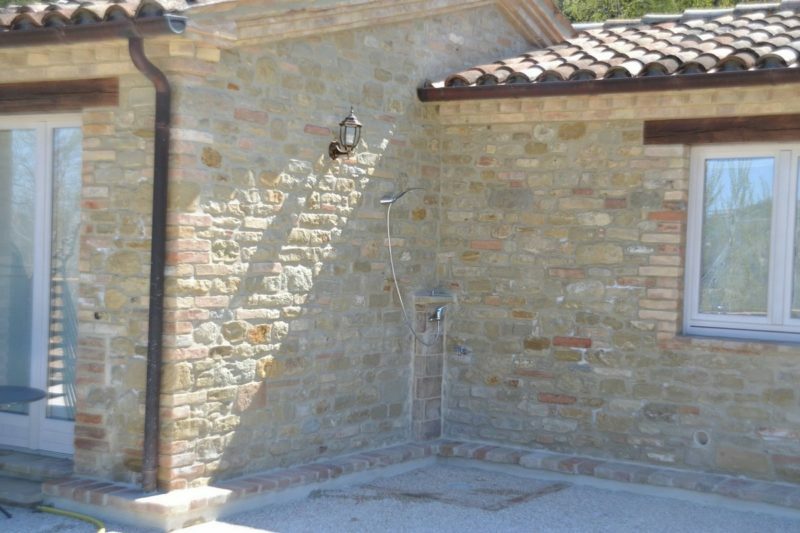 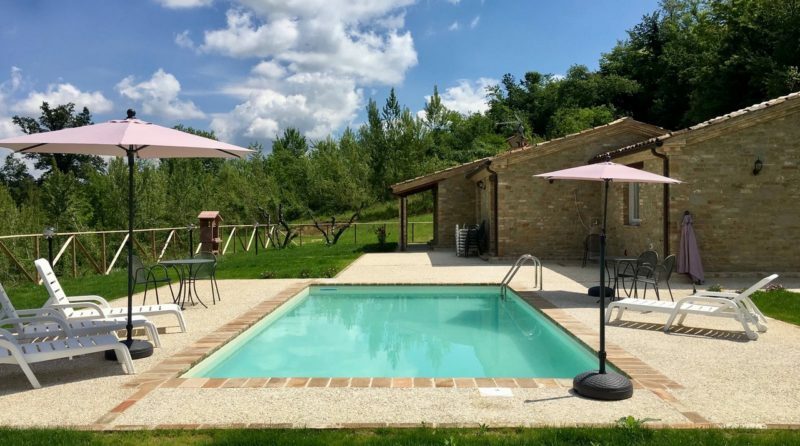 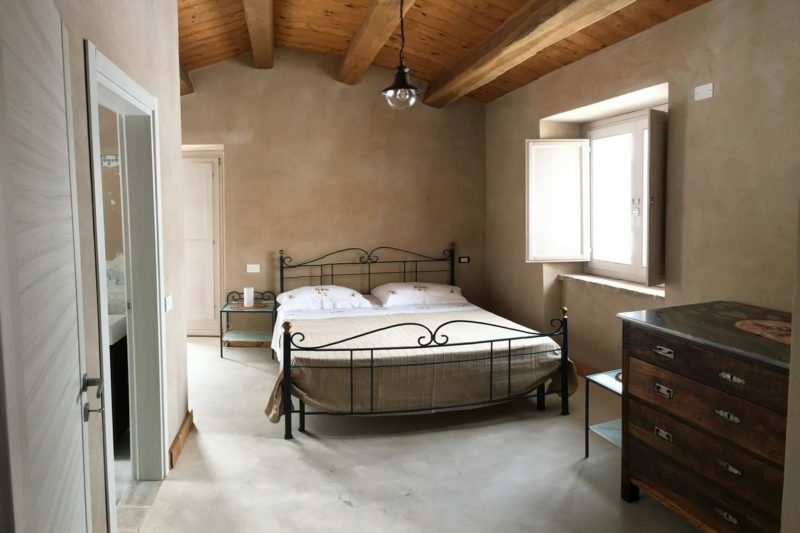 Beautiful Restored Farmhouse / Villa for sale, made of old stones and bricks, in the sunny Marche countryside, completely fenced with about 2 hectares of land. 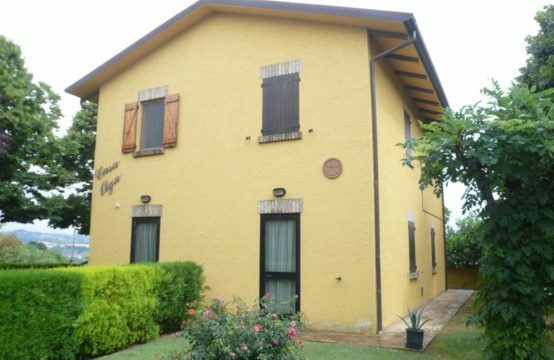 The property has access through a well mantained white road which leads to a wide parking area fitted in a fully landscaped flat garden with flowers and old olive trees. The garden is equipped of an automatic irrigation system, a rainwater storage tank, a barbecue area, a music diffusion system and a 8×4 swimming pool which enjoys a wondeful view of rolling hills. The fully furnished villa is spread on one floor and consists of a large living room with kitchenette overlooking garden and swimming pool, on one side you can find a utility room, bathroom with jacuzzi and two double bedroom, on the opposite side, the master bedroom with en-suite bathroom with shower. 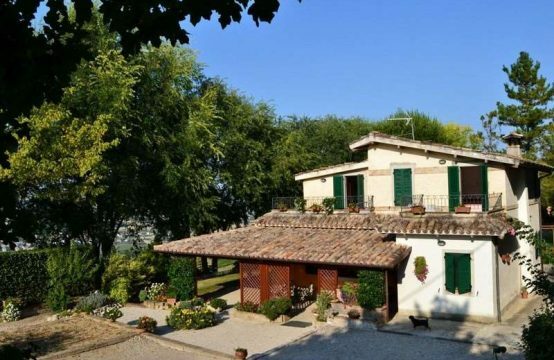 The exterior includes about 200 sqm of tiled floor with a loggia in front of the bedrooms, a large area in front of the living room and a spacious sundeck sorrounding the pool. 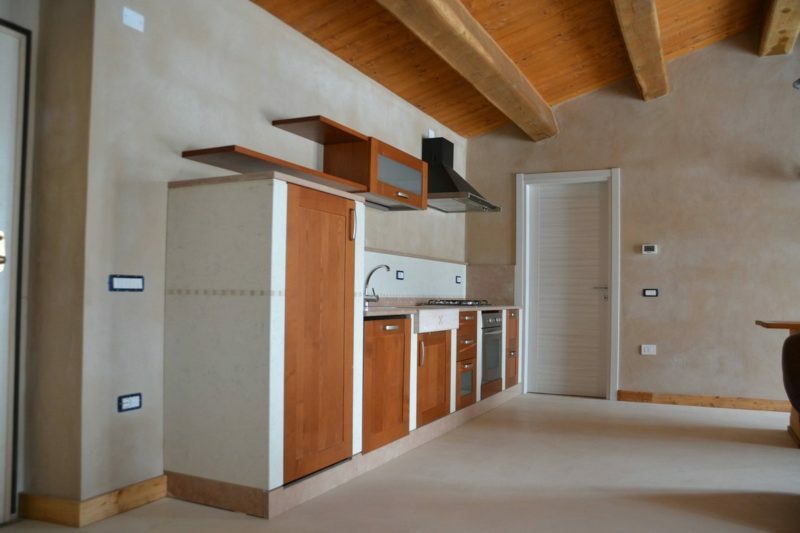 The building is newly built with modern anti-seismic and energy saving criteria thanks to the use of high performance materials for thermic isolation and floor heating, its finishes are of absolutely high quality, there is also air conditioning set-up. Energy class “A1”. 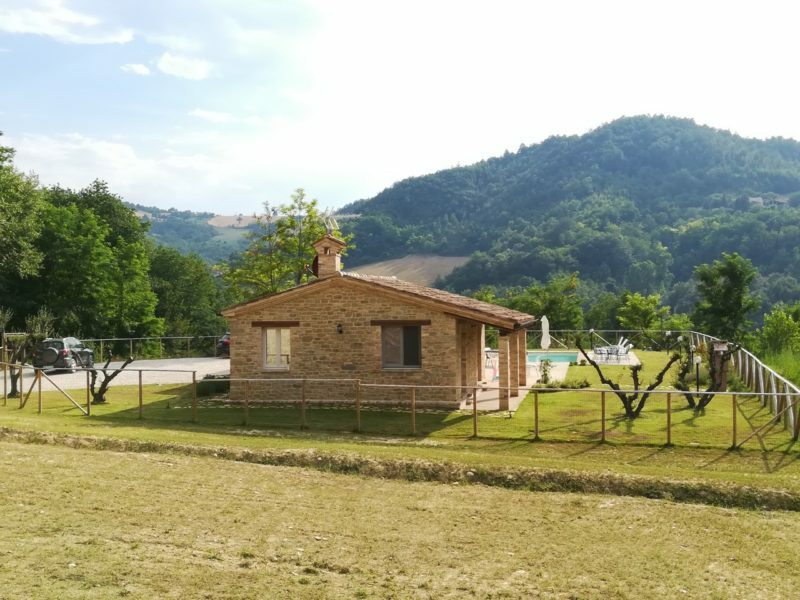 The property although being in an area with great privacy it is far to be secluded, close to the main road (about 200 meters away) and primary facilities. 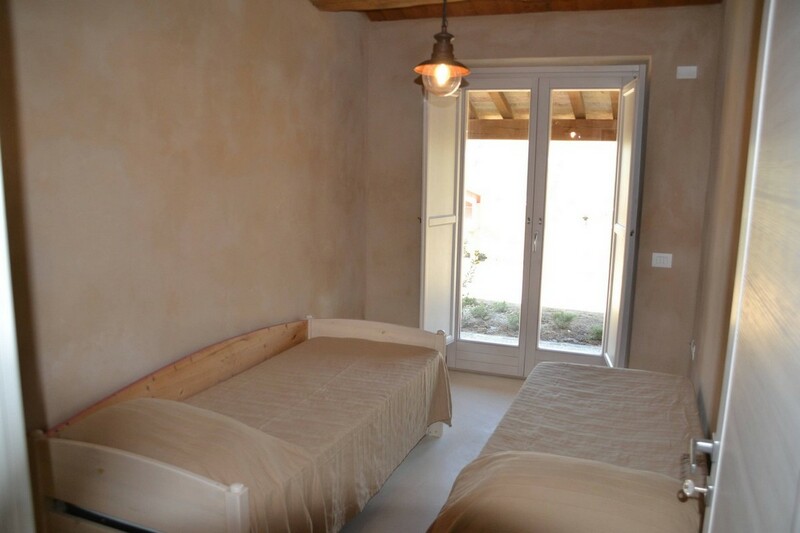 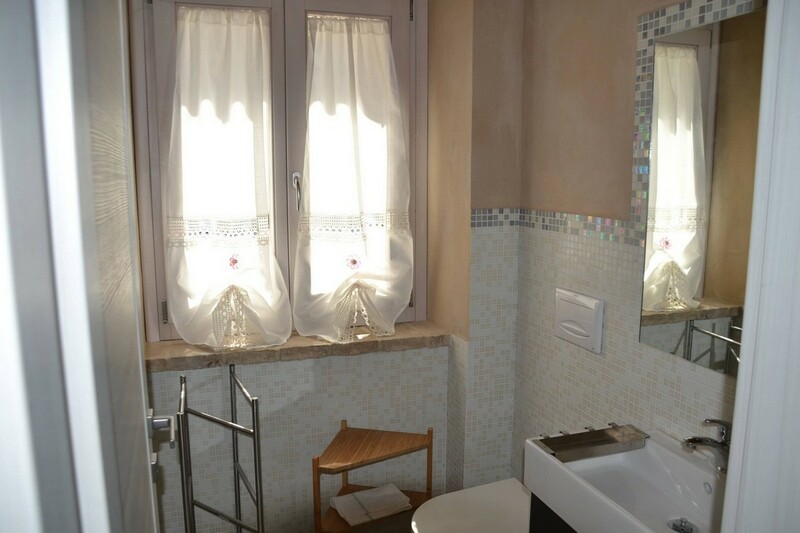 In fact you can find a traditional bar (a kind of coffe shop) and a pharmacy just 2 km far, as well as the medieval towns of Amandola (toward the mountains) and Servigliano (towards the sea) which are respectively at 10 and 15 mins driving from the property. 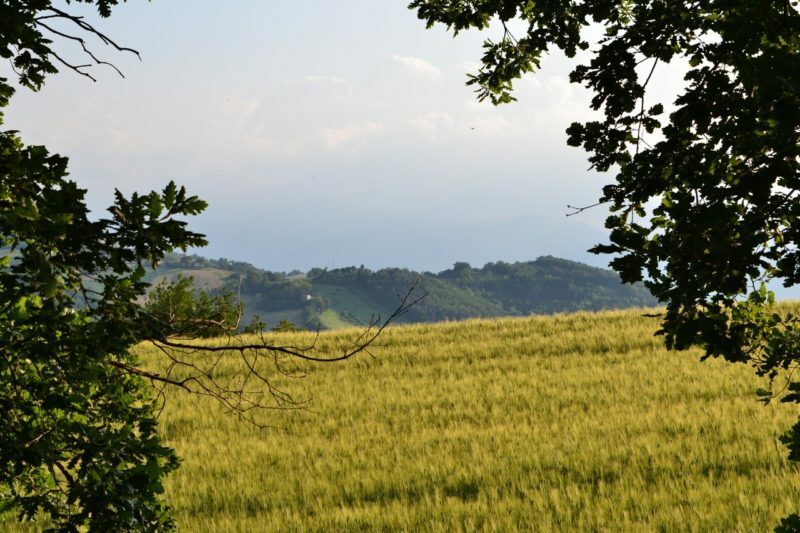 These old towns have mantained the traditional features of their foundation era, and are very lively all the year, in particular from spring to autumn every year a number of festivals, historical reenactments and concerts are scheduled. 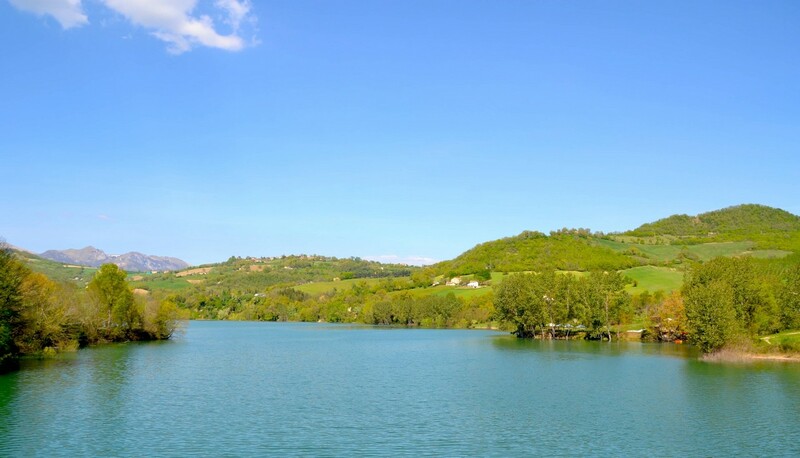 And more, there you can find, shops selling either traditional and fashion products, supermarkets, restaurants serving high quality fresh local food and wines, any kind of facility and efficient tourist and public offices. 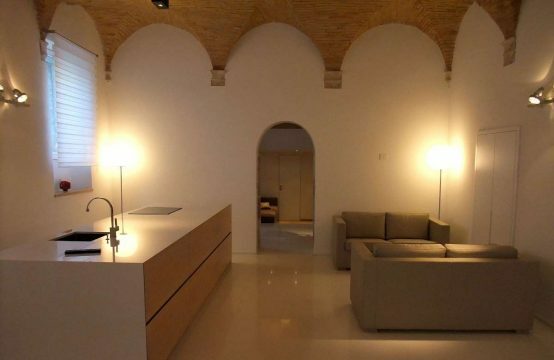 Finally, just few very important characters of the house deserve to be delighted.